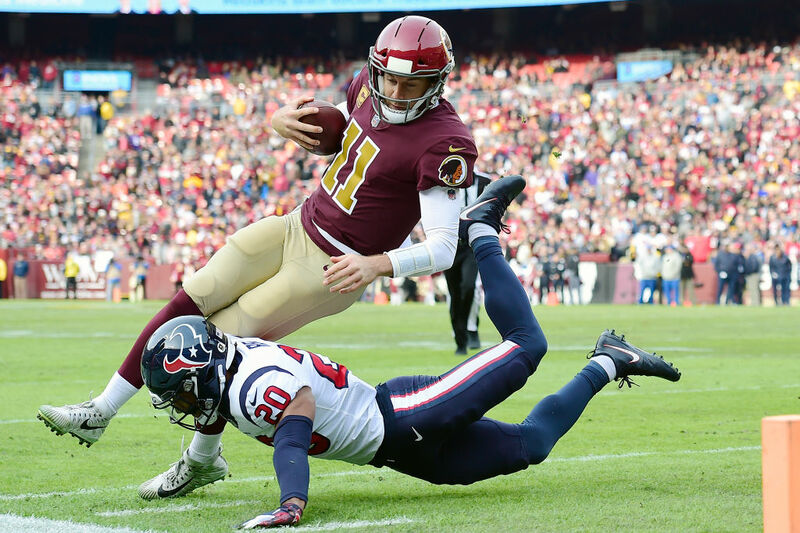 Washington Redskins quarterback Alex Smith suffered a gruesome leg injury Sunday afternoon, breaking both his tibia and fibula. He was taken to the hospital in an air cast and underwent immediate surgery. He's expected to miss the rest of the season. The injury came exactly 33 years after former Washington quarterback Joe Theismann broke multiple bones in his leg. Theismann, then 35 years old, never played in the NFL again. Smith, who turned 34 in May, showed no signs of slowing down before his injury. However, if he's ultimately unable to play, he's going to make a ton of money next year. After the Chiefs traded him, Smith signed a contract extension with Washington. The deal included a total injury guarantee of $71 million. Smith will receive that entire amount if he can't step back on the field again. That injury guarantee would be a massive blow to Washington. The team would have to pay Smith (which would count against the cap) and find a replacement quarterback. Smith's cap hit this year is $18.4 million. For now, they'll have to turn to Colt McCoy for the rest of the season. Smith will take time to recover – and should he never play again, his bank account will grow substantially. J.R. Smith has been able to enjoy the spoils that life in the NBA has afforded him, but he has had to deal with the downside as well – like a ridiculous incident with a fan that could cost him $2.5 million.